New beekeepers can sometimes be intimidated by the many choices they face. There are indeed many options for equipment, tools and clothing. There are even choices in terms of which type of honey bee to consider. However, the most visible decision they will make is the choice of beehive. This will be the focal point for visitors as you proudly explain your love of bees and, more importantly, for your bees to enjoy as the colony thrives. But what choices do you have when it comes to hives? They short answer is that you have many choices, including some very esoteric and fascinating options. 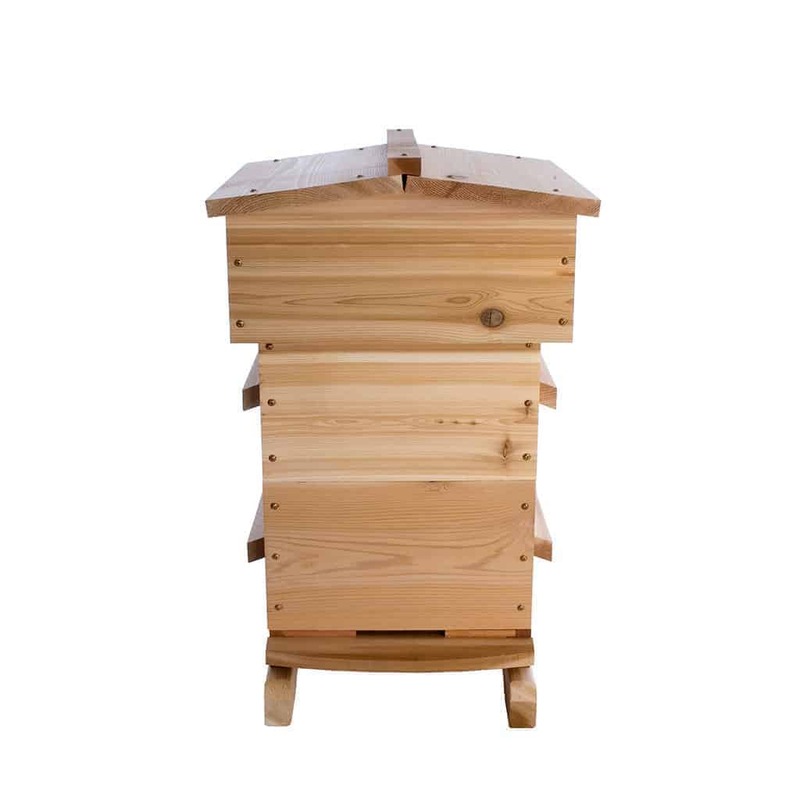 However, there are three main types of beehive in use today – the Langstroth, the Warre and the Top Bar. Each of these has its advantages and disadvantages. Like most things in beekeeping, many beekeepers will tell you that their way – and their hive – is the only way to go. PerfectBee, instead, suggests that you consider each of the options, assessing it in terms of your own situation and objectives. 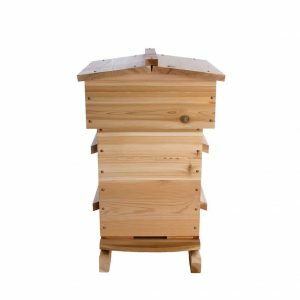 The chances are that one of these will be best suited to your situation, but don’t let any beekeeper tell you that HIS or HER approach is best for you. Only you can make that decision. So, with that said, let’s take a high-level look at the three main types of beehive. If you are signed up for Academy, we will follow up this lesson with separate lessons on each of these, where we drill down on the components and details of each type of hive. When most people think of a beehive, they see in their mind’s eye a Langstroth. This is the granddaddy of beehives having been invented, reasonably enough, by a Rev. LL Langstroth in 1852. Although the design has changed somewhat over the years, the basic approach is of a modular, expandable beehive , with reasonably convenient easy access for the beekeeper. The key innovation was the use of convenient vertically-hanging frames, on which bees build their comb. The gaps between these frames and between the frames and the inside of the boxes in which they hang, all very intentionally respect so-called bee space. This are the precise gaps within the hive of between 1/4″ and 3/8″ that bees will avoid joining with comb or filling with propolis. By designing a beehive that reflected bee space, Langstroth came up a solution that worked well for the bees but also made the management of the beehive much easier for the beekeeper. By the way, although bee space was first proposed by Langstroth in his hive, it is used as a key design factor in all successful hive designs today, including the Warre and Top Bar. The expandability of the Langstroth is achieved by supporting the addition of boxes on top of existing ones. These are often called supers and come in various depths – deep, medium and shallow. An essential aspect of the Langstroth is that dimensions are well-documented and effectively a standard. This means it is easy and feasible to purchase components from different manufacturers. The Warre beehive, in some ways, look like a mini-Langstroth, with its square boxes. Like the Langstroth, it is also named after its designer, in this case a certain French monk called Abbé Émile Warré. His guiding principle was to design a beehive mirroring the type of space bees choose in a natural setting. The inside of the resultant design is intended to be similar to that of a hollow tree, a common choice for wild bees. A key difference with the Langstroth is that a new boxes are added beneath the existing boxes, rather than on top of them. While the individual boxes are smaller than the Langstroth (and therefore individually lighter), the existing boxes need to be moved up in the “stack” when adding a new one. Something of a tradeoff for the beekeeper wishing or unable to lift heavy weights. Another factor here is taht inspections are more common than the need to add new boxes, so…swings and roundabouts. We’ll discuss this in more detail in the Academy lessons on these hives. Another difference is that, rather than supporting vertically hanging frames, the Warre has a series of simple slats spanning the top of each box. From this guide, bees build their comb vertically downwards. This means, by definition, Warre beekeeping equals foundationless beekeeping, which we will discuss in the Academy “Foundation Beekeeping” lesson. The top of the Warre features a roof – often called a quilt box – that includes material to absorb condensation that the bees might generate. This is particular important during the winter, when the interaction of very cold ambient temperature with the relative warmth of the winter cluster, formed by the bees, can result in a dangerous build-up of moisture in the hive. The Warre is sometimes considered a design with a lower burden of ongoing of maintenance, which is attractive to many beekeepers. The Top Bar Hive, often see referenced as a “TBH”, is a quite different design to that of the Langstroth and Warre. 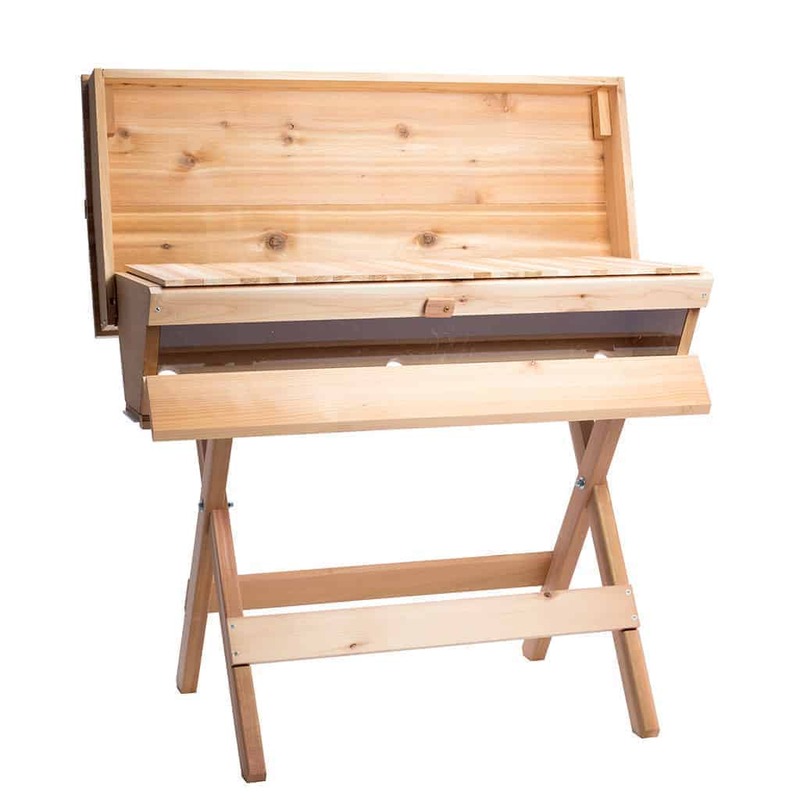 A more recent design, relatively, the Top Bar is the most comfortable of designs for the beekeeper, presenting the bees at a convenient height. There are no heavy, honey-laden boxes to lift, just individual frames of comb. An important characteristic of the Top Bar hive is that it has a single, long box. While this means there are no expansion capabilities, as exist with the Langstroth and Warre, it also makes for a more simple design. 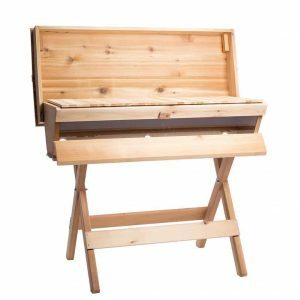 This simplicity is a significant attraction for many hobbyist beekeepers. The Top Bar design is wider than the other options and a long roof protects the contents. Under the roof are 24 wooden bars. These bars are therefore at the top (see what they did there?). Each of the bars has a “starter strip” from which bees will start building comb, again hanging vertically. 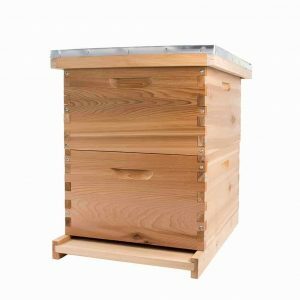 There is no foundation involved and therefore, like the Warre, the Top Bar is attractive to those who enjoy foundationless beekeeping. There are other types of hives available, plus some intriguing derivatives of the three mentioned above. 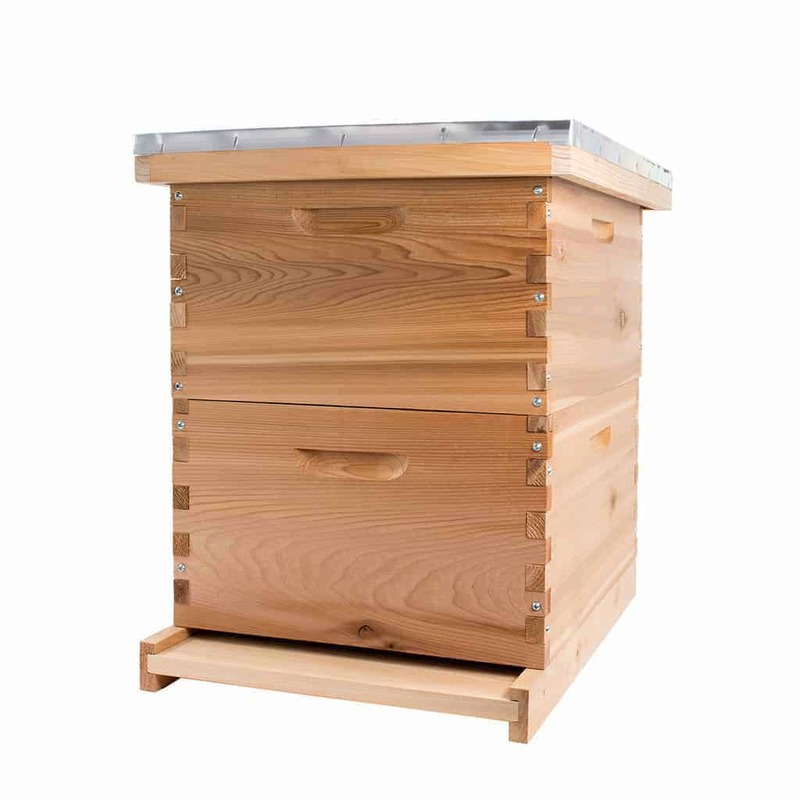 For example, an increasingly popular hive is the “”long / horizontal” Langstroth, which features characteristics of both the Langstroth and the Top Bar. Most beekeepers will find a great option, suitable to their specific needs. One traditional feature of Top Bar hives has been the option to incorporate a viewing window. This is of interest to many beekeepers as an easy way to quickly browse bees, without unduly disturbing them. However, viewing windows are now quite common to Warre hives and Langstroth hives too, as featured in our Premium Collection of beehives.